A few weeks ago while cycling Col de la Madeleine and Lachat I could see into the next valley and noticed some amazing hairpins up high. 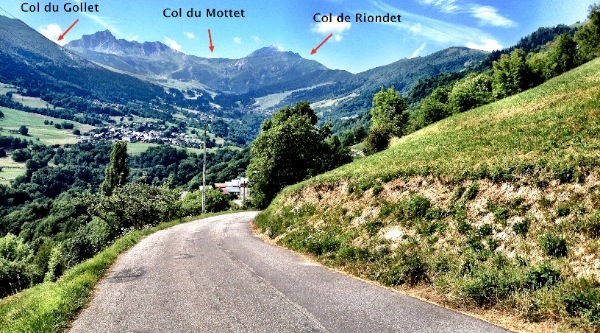 Upon further investigation / map reading I realized it was a road above Valmorel. I vowed to take a closer look. This fulfills the vow. Valmorel is a medium sized ski station a little south of Albertville. 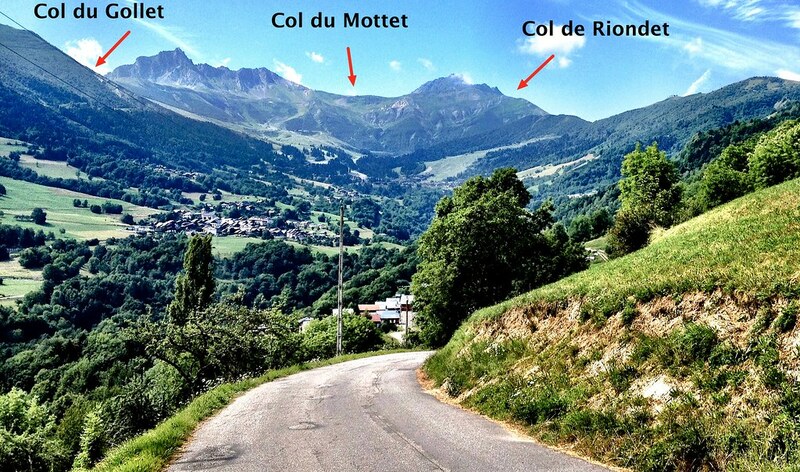 It’s a nice 15 kilometre climb to Valmorel (1370 metres) suitable for road bike. But I wanted to get much higher so I brought the hybrid. 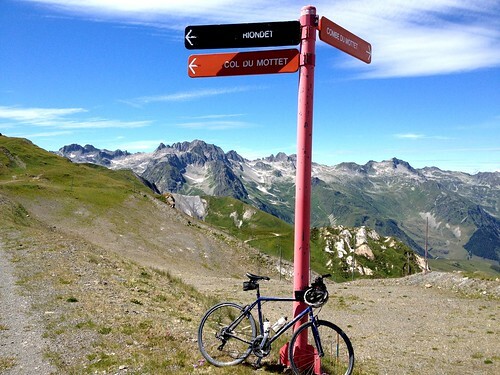 To start, I took the slightly longer, slightly harder, slightly quieter, alternate route to Valmorel via Doucy. This takes the other side of the gorge and then descends down to the main road just below Valmorel. 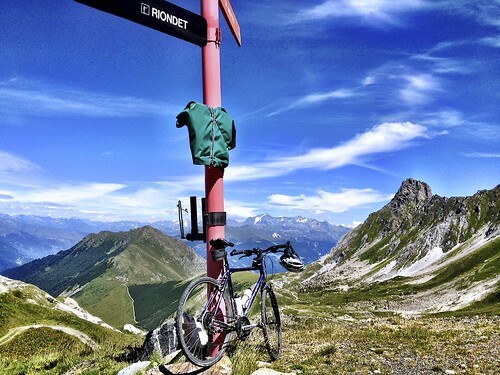 But either this way or the direct route – which I descended – is fine for a road bike. 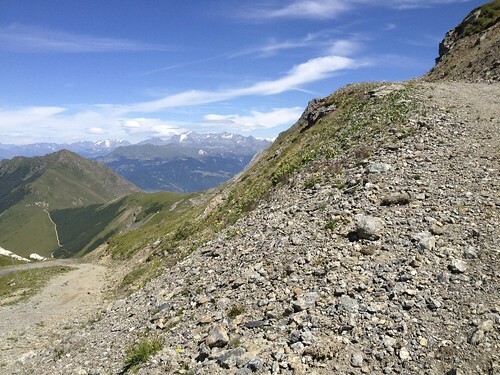 At Valmorel, I had programmed into my GPS a road that Google maps indicated was paved … not even a dotted line. 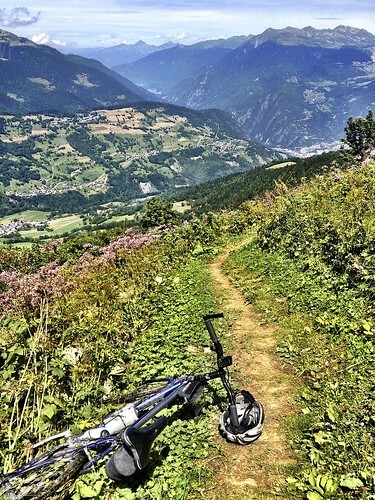 It started out OK but soon became nothing but a very steep trail – used as a single track mountain bike descent by out-of-shape brits who take a chair lift up. 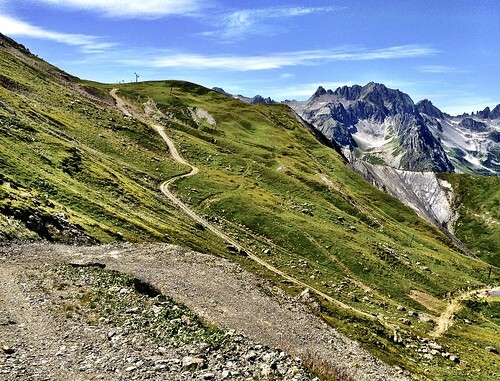 I learned later that a better way to ascend would be the way I descended from Col du Gollet – on the road near the summer chair lift. 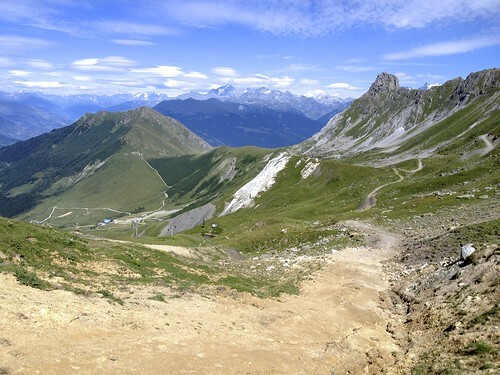 From Riondet are spectacular views of the final hairpins of Col de la Madeleine below in the distance. I scanned the cliffs below for a way down to try and get across, but even with an IGN map, I couldn’t find a remotely sensible option. 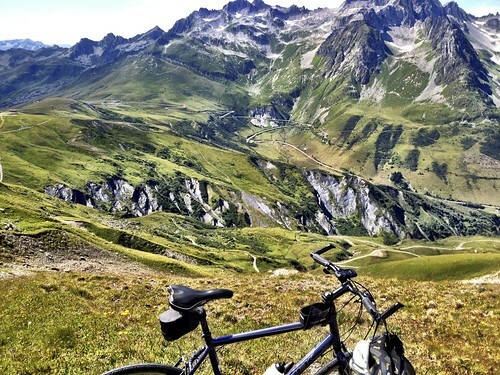 So until recently you were off the bike because of your legs which hurt when walking, cycling, standing, sitting and sleeping. Then something happened (still a secret) and you got some extremely strong bionic legs. But when I see where you go ride, the doctor clearly did not manage to fix your crazy mind and that is just good. Because that way we can continue to enjoy your great ride stories. And hopefully sometime join you again on these adventures.